My mom can make pie. Oh my goodness, can she roll out a crust! And her fillings: Fresh, bright, fruity, gooey scrumptiousness. Her baked creations are the perfect blend of flakiness and fruit. The crust has invisible pockets of butter, and crumbles gently against your fork. The fruits sings flavor. Ginger can bake a pie to beat all, but she cannot teach you how. My mom possesses incredible skill and talent, but it’s the kind of expertise that doesn’t translate. She tried teaching me once, but it was if my presence ruined the lesson. If I’m watching too closely, something always goes wrong. I tried filming her once, but you could almost taste the frustration and self consciousness in the finished result. The video turned out great, even funny, and made for a lighthearted memory. But the pie fell flat. The curse of knowledge alienates people. It does the most damage when you don’t know how to share your expertise. Is there something you know how to do, that you just can’t put into words, or even video? Usually, that thing you do so well is so ingrained that you forget there are steps, or that you ever learned how to do it yourself. If you are affected by this curse, there’s a way around it. All you need to do is show a tiny bit of vulnerability with your customers, readers, and prospects. Then the curse of knowledge will disappear like magic. It starts by showing what mistakes you made along the way and how you corrected them. It starts by showing that there was a time once when you were not the expert you are now. You walked a path. You did not just come down from the mountain in all your glory. There was a time when you had beginner’s mind, too, and to teach someone a skill or even to pass information along in the way of helpful content, you must remember what that felt like. The beautiful problem: no one knows exactly what you know in exactly the way that you know it. They haven’t been where you’ve been, they haven’t walked in your shoes, had your experiences and worked with the same people. They haven’t seen the same movies. You are your own unique creation. A one-of-a-kind recipe. But if you try, you can share how you got here. Tell just one part of that story and you have a great beginning! Start there. Share that in your copy or your video or blog, and you will have poked a minuscule hole in that seemingly impenetrable armor of knowledge. You’ll begin to make connections. When you write about where you’ve been, you add a dash of empathy. 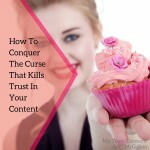 Your content becomes trustworthy. A few weeks ago, I had the rare opportunity to hover over one of the most beautiful islands in the world in a helicopter. I had met the pilot just moments before we lifted off, and I’d never been in a helicopter, let alone brought my family along for the joyride… I was a little nervous. 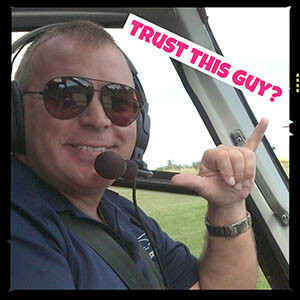 Helicopters crash, it’s a fact, so how did the pilot calm everyone’s latent, but unspoken fear? He told us where he’d been. When Brandon told us we were flying over the Kauai waterfall where the opening of the TV show Fantasy Island was filmed, I recognized it. In fact, when I was a kid, I never missed that show! Of course I knew that waterfall; I could hardly keep from saying, “Da plane! Da plane! Suddenly, we connected. We discovered that we shared the common memory of watching the Saturday night lineup of Lawrence Welk, Hee-Haw, Love Boat, and Fantasy Island when we were kids.He said he always skipped the Lawrence Welk show because he was out riding dirt bikes or motorcycles before dusk. That comment led to a discussion about how he found his way to flying choppers for news programs on the mainland. OK, so this was a guy who’s been getting into quasi-dangerous motorized vehicles his whole life — including flying choppers for the nightly news — and lived to tell! Suddenly, we were in good hands. Trust inspires people to take the leap. Trust closes the sale, get you the referral, or earns you a nice big tip. The effectiveness of your writing, your blog posts, your speeches, and all your interactions with people; all hinge on establishing trust. Yes, you are the expert, but until you share how you got there, you’ll always be a bit of a magician. (Come to think of it, magicians always keep their distance, too. Ever notice that?) You need to show your hands. You need to banish the curse that kills trust. Start with something everyone knows. Start with a story about where YOU started. 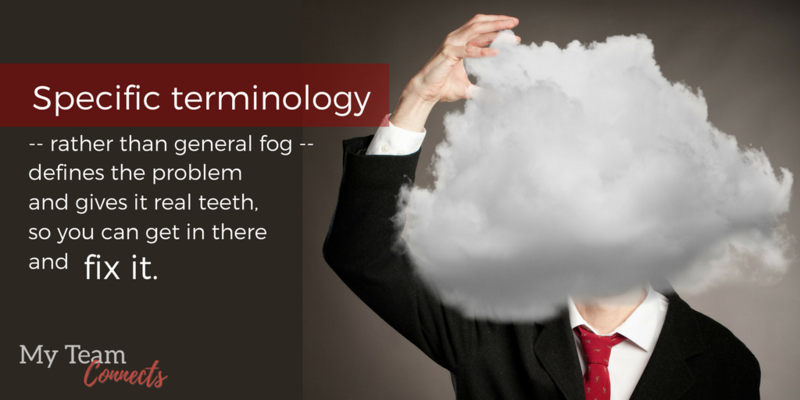 Talk about some problems you faced, how you overcame them…and work from there. 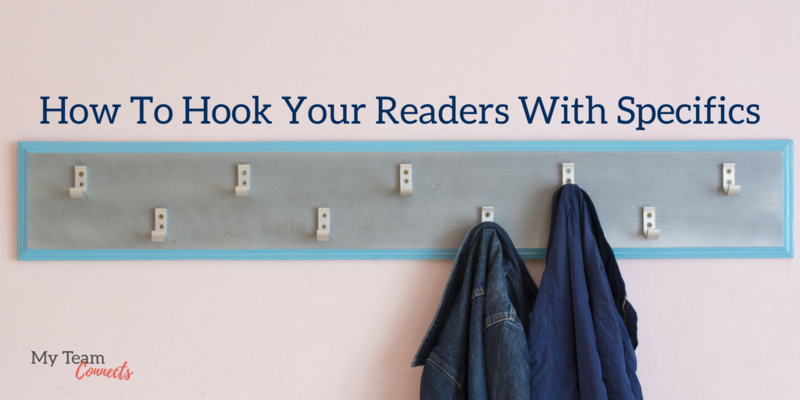 The curse of knowledge evaporates when you make a connection with your reader through stories. 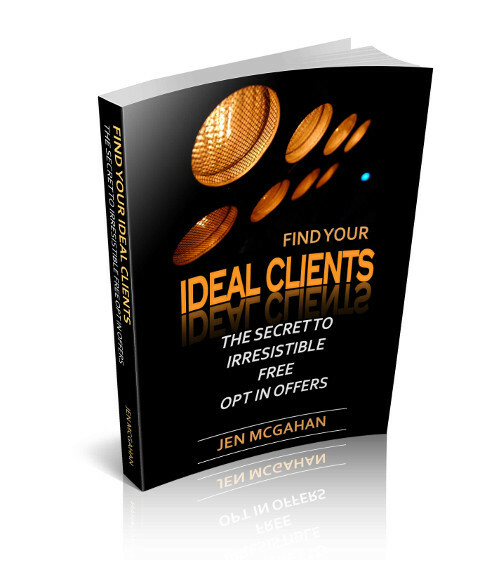 Those inroads lead to real understanding, inspiration, and ultimately…that closed sale. 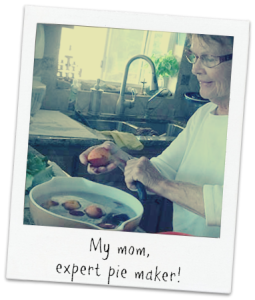 I’m still not sure if my mom really bakes all those pies herself, or if she has magic elves working for her, but I can teach you how to increase trust in your content creating skills. 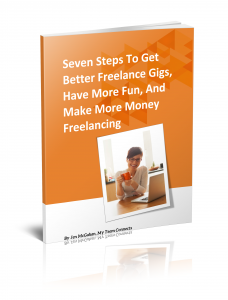 If you want to learn how to instill trust in your client relationships and land the really cool freelance jobs, click here. 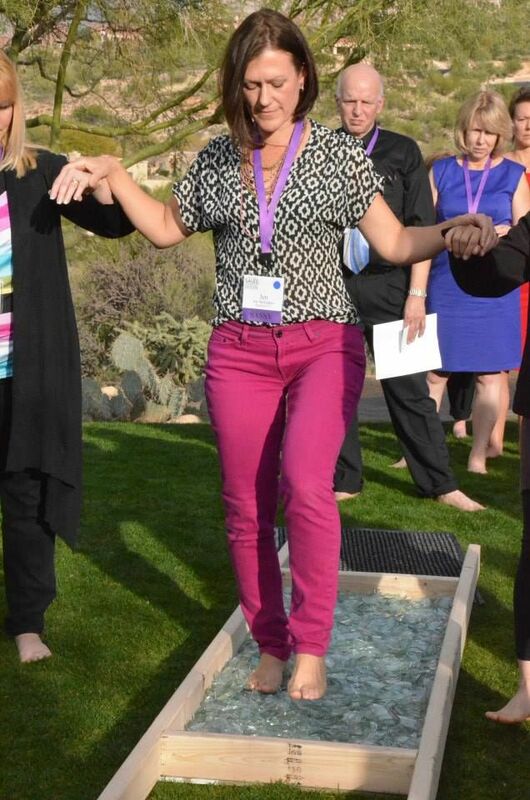 Last week at a business mastermind retreat, I participated in an interesting experiment and discovered something simple, but profound. If you want to make headway through challenging circumstances, decide to make one small, intentional step at a time. 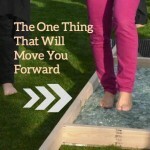 Put your whole weight on it, and you can actually walk on broken glass without harm. Reasoning that no organization would allow it’s members to get hurt, I watched as others crossed through the broken wine bottles without incident — though much seriousness, and even tears. I knew this glass walk would be a cake walk if I just followed the instructions. The key instructional phrase for me (a distractible type) was to put your whole weight on it. Something about the pressure causes air pockets underneath to collapse, while holding firm at the top. That’s the one thing you need to remember to avoid cutting your feet. Once your foot is gently placed, you simply allow your center of gravity to drop in. Then you carefully lift your back foot up and do it again. Easy peasy. It’s been a week since my glass walk. While at first I thought it was no big deal, last week I found myself reflecting on the activity as I went about my daily routine, and I started to get point. (‘Scuze the pun). Imagine if we put our “whole weight” into every task, every message, every opportunity to connect with others, and our spirit? If we conversed with our customers, family and friends with the whole weight of our attention. Savored a cup of coffee with the whole weight of our senses. Sent email that advanced the whole weight of our intention to make a singular helpful point, or request for action. Large agencies and huge corporations (Coca-Cola, GE) are churning out content, and hiring hundreds of reporters, journalists, and other creative people to contribute their voices and points of view. While still producing their products, some traditional corporations are tactically evolving into media companies and strengthening their brands. They are touching lives, informing customers and non-customers alike, transitioning into “lifestyle brands” and generating revenue through nontraditional channels with the speed and reach of digital technology. Now the question is this… Can a small company do the same thing? Can we replicate and multiply our own efforts to build a unique brand and reach thousands or millions of people? Yes, we can, if we put our whole weight into what we know best, and take the time to share it. Think about why you’re in business. You developed the ideas, methods and products to advance the success (i.e. comfort, safely, mojo, efficiency, etc.) of your clients and to create a prosperous business with an income and lifestyle to achieve your personal goals. For example, my dream for MyTeamConnects is to help happy companies grow, by showing entrepreneurs how to produce content that builds relationships and brings customers — so they can focus on what they do best. You have a mission for your business, too. Digital marketing is all about spreading those great ideas that profoundly impact people. 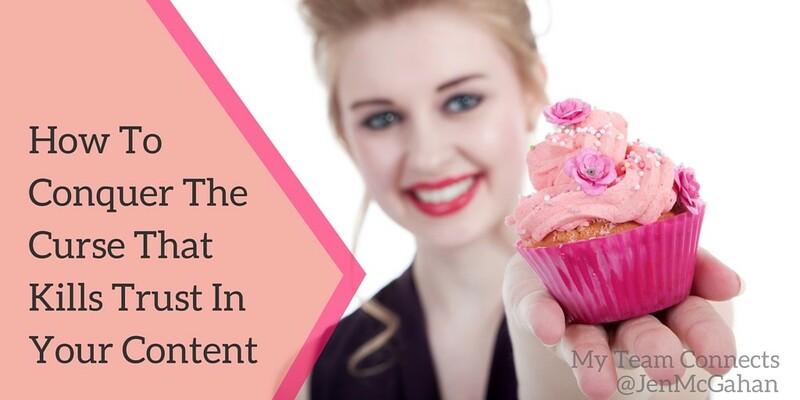 Each piece of your content contributes to a story. Steps taken with movement and direction produce results. It’s kind of like that walk on broken glass. Whether it’s an email or a blog post, or a Facebook share, or a LinkedIn update; one thing is all most people can digest at a time. If the one thing inspires them at the moment, then your connection holds long-lasting value…and enables them to take that next step. Some readers will move closer to becoming fans. Some fans will move closer to becoming customers. And you will build your business. One small thing done with your whole weight has more impact than dozens of thoughtless, small movements. What is the one thing your customer needs from you next week? Bring it forward with focus and generosity. Drop in with your whole weight, intention and trust. The new year holds your story – the next 365 pages of it. You get to choose what to include and what to leave out. Want to grow your business, reach more people with your message, or branch out into a new segment of your market? Want to change the course of your life this year? All those little parts contribute to the cohesive story you tell each day about yourself and your brand. Honor those “baby steps” because they get you closer to your goal. Resolutions are fine, as long as you break them down into little manageable pieces. This philosophy works whether you are creating content for the web — one page, tweet, or post at a time — or creating a life you want to lead and reaching personal goals. They are connected. 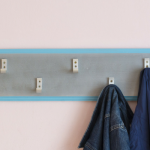 It’s the little things that make a big impression. You don’t always have to produce perfect white papers and fancy reports, although they speak volumes to the right people when they need that information from your company. People notice when you dribble out the essence of your brand in tiny portions, consistently and with enthusiasm and commitment. One page at a time. That’s how you write your book this year. Commit now to create something good; something worthy of your purpose. I’m rooting and praying for your blessing to reach the world. You get to begin with a beautiful blank page today. Happy New Year! May 2014 be filled with small, fulfilling moments so that your big goals spring to life. Every page matters.